This is intended as a support document for the Home Cure article on Cinnamon and Honey. There seems to be reasonable scientific support for the home cure, although I would not know about the “dose” and length of time necessary to achieve certain results. Since individual results might vary, I would suggest just trying the home cure for at least a month, and see how it works. The science is presented separately, since most people may not understand it, and including it on the home cure page would make the article too long. I try to present science based references, as opposed to pop culture references. You can read it for yourself, and make up your own mind. 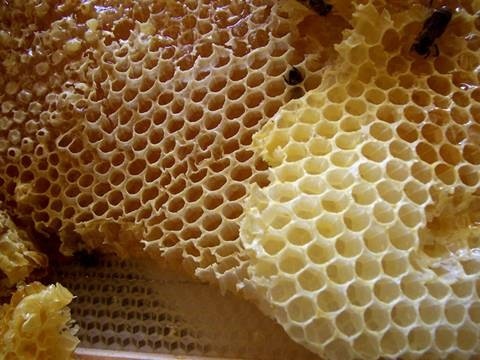 Most micro-organisms do not grow in honey because of its low water activity of 0.6. Honey is mostly sugars and is not a significant source of vitamins or minerals. Honey also contains tiny amounts of several compounds thought to function as antioxidants, including chrysin, pinobanksin, vitamin C, catalase, and pinocembrin. Honey intoxication is more likely when using “natural” unprocessed honey and honey from farmers who may have a small number of hives. Commercial processing, with pooling of honey from numerous sources generally dilutes any toxins. When used topically (as, for example, a wound dressing), hydrogen peroxide is produced by dilution with body fluids. As a result, hydrogen peroxide is released slowly and acts as an antiseptic. Hydrogen peroxide in honey is activated by dilution. However, unlike medical hydrogen peroxide, commonly 3% by volume, it is present in a concentration of only 1 mmol/L in honey. Honey chelates and deactivates the free ion, which starts the formation of oxygen free radicals produced by hydrogen peroxide and the antioxidant constituents in honey help clean up oxygen free radicals present. The pH of honey is commonly between 3.2 and 4.5. This relatively acidic pH level prevents the growth of many bacteria. J R Soc Med. 1999 June; 92(6): 283–285. Antibacterial activity of honey against strains of Staphylococcus aureus from infected wounds. School of Biomedical Sciences, University of Wales Institute, Cardiff, UK. The antibacterial action of honey in infected wounds does not depend wholly on its high osmolarity. We tested the sensitivity of 58 strains of coagulase-positive Staphylococcus aureus, isolated from infected wounds, to a pasture honey and a manuka honey. There was little variation between the isolates in their sensitivity to honey: minimum inhibitory concentrations were all between 2 and 3% (v/v) for the manuka honey and between 3 and 4% for the pasture honey. Thus, these honeys would prevent growth of S. aureus if diluted by body fluids a further seven-fold to fourteen-fold beyond the point where their osmolarity ceased to be completely inhibitory. 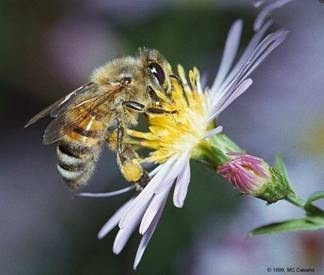 The antibacterial action of the pasture honey relied on release of hydrogen peroxide, which in vivo might be reduced by catalase activity in tissues or blood. The action of manuka honey stems partly from a phytochemical component, so this type of honey might be more effective in vivo. Comparative clinical trials with standardized honeys are needed. The clinical use of honey has received increasing interest in recent years, particularly its use as a topical antibacterial dressing. Results thus far are extremely encouraging, and demonstrate that honey is effective against a broad range of microorganisms, including multiresistant strains. This in-vitro study complements the work of others and focuses on the impact that a standardized honey can have on multiresistant bacteria that are regularly found in wounds and are responsible for increased morbidity. Medihoney™ Antibacterial Honey (Medihoney™ Pty LTD, Richlands, Australia) is a standardized medical honey that is available in many countries including Australia, United Kingdom, Finland, Germany, Austria, and Turkey. It is selected for its antibacterial activity and predominantly sourced from Leptospermum species. Sterility of products is validated against international standards and products are manufactured to meet international quality system requirements. The antibacterial activity of Medihoney is validated for the shelf life of the product, complying with the European Medical Device Directive. The Maori (Polynesian settlers of New Zealand) vernacular name for Leptospermum honey is manuka, the name by which it is more popularly known. Cinnamon, clove and lime oils were found to be inhibiting both gram-positive and gram-negative bacteria. Cinnamon oil can be a good source of antibacterial agents. Two studies presented at Experimental Biology 2006 provide new evidence for the beneficial effects (and biochemical actions) of cinnamon as an anti-inflammatory agent, and support earlier findings of its power as an anti-oxidant agent and an agent able to lower cholesterol, triglycerides, and glucose, and improve how well insulin functions. In a related study, extracts of cloves also were found to improve the function of insulin and to lower glucose, total cholesterol, LDL and triglycerides in people with type 2 diabetes. Earlier studies had shown these positive effects in laboratory studies; the study presented at Experimental Biology provides the first evidence of these beneficial effects in humans taking the equivalent of one to two cloves per day. Earlier studies in the laboratory of one of the co-authors of all these papers, Dr. Richard A. Anderson, Beltsville Human Nutrition Research Center, United States Department of Agriculture, had shown that the equivalent of a quarter to half a teaspoon of cinnamon given to humans twice a day decreased risk factors for diabetes and cardiovascular disease, including glucose, cholesterol and triglycerides, by 10 to 30 percent. These new studies showing cinnamon’s ability to block inflammation extend our understanding of the potential for the spice, says Dr. Anderson. As an anti-inflammatory agent, cinnamon may be useful in preventing or mitigating arthritis as well as cardiovascular disease. And as scientists increasingly understand the relationship between inflammation and insulin function in Alzheimer’s (causing some to refer to the neurodegenerative disease as “type 3 diabetes”), cinnamon’s ability to block inflammation and enhance insulin function may make it useful in combating that disease as well. Antimicrobial: Historically, cinnamon had been used to combat gastrointestinal disorders such as diarrhea, dyspepsia, and Helicobacter pylori (H pylori). The antimicrobial effect of cinnamon was identified in a laboratory experiment in which pure Cinnamomum cassia extract, mainly composed of the active ingredient cinnamaldehyde, was tested on isolated strains of bacteria, including gram-positive Staphylococcus aurus, gram-negative Escherichia coli, Enterobacter aerogenes, Proteus vulgaris, Pseudomonas aeruginosa, Vibrio cholerae, Vibrio parahaemolyticuas , and Samonella typhymurium. The antimicrobial effect resulted in a minimum inhibition concentration (MIC) of cinnamomum cassia extract ranging from 75 mcg/mL to 600 mcg/mL on these various bacteria. However, conflicting data was obtained in a randomized, controlled pilot clinical trial of 15 patients ages 16 to 79 who had a positive Campylobacter urease test for H pylori. Each patient in the control group received 40 mg of ethanol extract of cinnamon twice daily for four weeks; the control group received plain 95% ethanol. With urea breath tests as the measurement of efficacy, the mean urea breath test before and after the study for the treated group were 22.1 and 24.4, respectively; the mean urea breath test before and after the study for the controlled group were 23.9 and 25.9, respectively. This conclusive study found that 40 mg of cinnamon extract given twice daily was ineffective in eradicating H pylori. Although cinnamon historically had not been used to treat inflammatory disorders, its anti-inflammatory effect was demonstrated experimentally. Specifically, Cinnamomum cassia was used to investigate the anti-inflammatory effect on nitric oxide (NO) and Nuclear factor kappa-b (NF-kB). Both substances have been implicated in inflammation. In acute and chronic inflammation, there is an increased production of NO, which promotes vasodilatation and results in increased vascular permeability and edema. Nitric oxide also activates COX-2 enzyme involving in the biosynthetic pathway of inflammatory prostaglandins.2,6 NF-kB contributes to inflammation through induction of transcription of genes coding for inflammatory mediators. It was found that cinnamaldehyde, specifically 2′-hydroxycinnamaldehyde found in Cinnamomum cassia extract, exhibited a dose-dependent inhibitory effect on NO production and transcriptional activity of NF-kB, thereby contributing to its anti-inflammatory qualities. Cinnamon oil has been reported as an antifungal agent, although current efficacy of cinnamon oil’s fungicidal effect has not been tested in clinical trials. Experimentally, promising results on its antifungal activity were reported in two in vitro studies of cinnamon oil on Cryptococcus neoformans and Aspergillus niger. Crytococcus neoformans is an opportunistic fungal pathogen affecting the lungs or meninges of immunocompromised or AIDS patients, causing pulmonary cryptococcosis or cryptococcocal meningitis. It was found that the phenolic compound in cinnamon oil identified as eugenol is responsible for its fungitoxic activity. Cinnamon oil’s antifungal property was again demonstrated in a more recent in vitro study on Aspergillus niger (A. niger), an opportunistic fungal pathogen residing in the air and, through inhalation of Aspergillus sp. spores, entering the respiratory tract of patients with AIDS or with immunocrompromised conditions to cause Aspergillosis. Seventy-five botanical essential oils, including Cinnamomum zeylanicum and Cinnamomum cassia, were tested for the inhibition of hyphal growth and spore formation on inoculated agar with A. niger incubated at 28C for 48 hours. Among the 75 botanical essential oils used, Cinnamomum zeylanicum and Cinnamomum cassia demonstrated maximal and superior results; the zone of hyphal growth inhibition and zone of spore formation were 43 and 40 versus 50 and 45 for Cinnamomum zeylanicum and Cinnamomum cassia, respectively. There is more to cinnamon besides the antimicrobial, anti-inflammatory, and antifungal effects attributed to cinnamaldehyde found in Cinnamomum cassia powder and oil. The presence of oligomeric proanthocyanidins (OPC), a class of bioflavonoid, opened a new area of research on its antioxidative effect. Through agriculture research, type A and type B oligomeric proanthocyanidins were identified in cinnamon spice via mass spectrometer analysis. 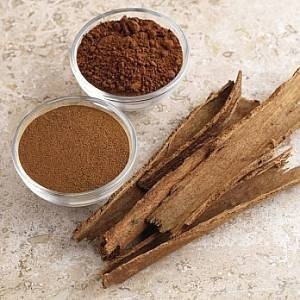 Additionally, it was found that over 84% to 90% of OPC found in cinnamon spice were type A OPC. However, there has not been a specific study on the antioxidative effect of cinnamon alone. Antioxidants are essential to the human body to neutralize free-reactive oxygen species, also known as free radicals, to maintain functional cellular membrane and structure. Furthermore, free radicals associated with impaired glucose metabolism and antioxidants have been implicated in the regression of diabetes mellitus. Is there a particular honey that should be used – or which type of honey is the best? I do not know about the dose. You will have to experiment as to what is best for you. Hopefully, if you feel better, you will be more active. I am guessing a honey with a light color to it. It has to do with the optimum pH from what I read. It is also cooked, and will destroy any spores. Manuka Honey is a very effective, natural healer. Last year (2012) I started adding cinnamon to my daily regimen in hopes of mitigating numbness in my toes (some sort of peripheral neuropathy). I have been dealing with a breast cancer diagnosis since 2011 through natural and alternative measures. The toe issue started afterwards. One comment on your research investigations. I switched from ‘less expensive’ cassia cinnamon to using more expensive ceylon cinnamon. I buy it through Amazon in bulk (1 lb. bag). Cassia cinnamon can cause toxicity in the liver. Ceylon is considered much safer. What I can report as a positive change is that recently (on 2 separate visits) my BP at the doctor’s office has been in the ‘perfect’ range. Typically my BP (as well as most people I read) is elevated due to stress, etc. I am usually talking to the assistant which raises BP also. My BP taken at home can often be much lower (almost too low). Compared to previous year my BP is much lower even in more stressful arenas. I attribute this finding to using cinnamon on a daily basis. I add cinnamon to applesauce which also has apricot kernals (shelled and pulverized in a coffee blender). I also often make spice organic coffee by adding organic cinnamon, ginger, nutmeg and cloves to my coffee grinder. wishing you a complete recovery…. honey and cinnamon powder are good combinations for digetive problems.